To the cloud, or not to the cloud? The answer may be more simple and economical than you imagine. 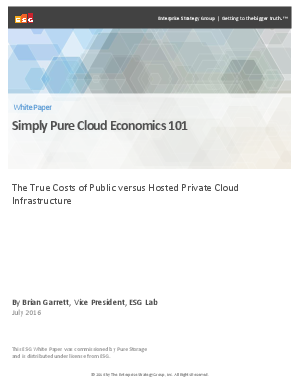 In this white paper, we’ll be providing a quick lesson in cloud economics, based on an ESG audit of a model that compares the monthly cost of public cloud infrastructure with the monthly cost of leasing a converged private cloud.